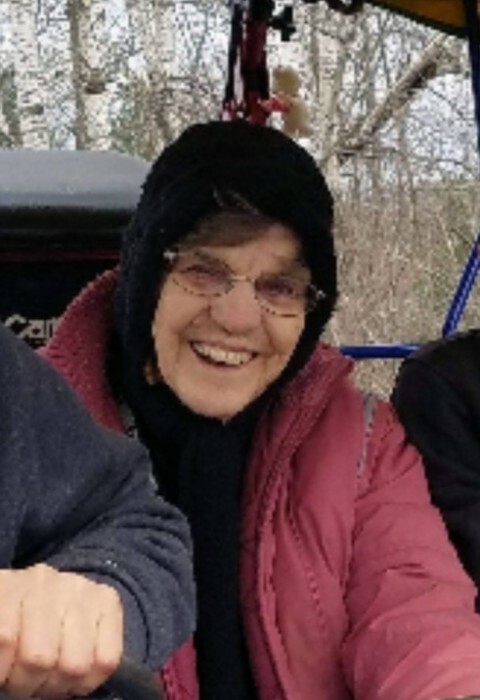 Bertha Lou Sanvig, 88, of Aitkin, passed away Saturday, January 26, 2019 in Aitkin Health Services, Aitkin. She was born June 21, 1930 in Aitkin to Clifford and Harriet (Hamilton) Wilson. She loved to watch television. Her favorite shows were I Love Lucy, The Waltons and Little House on the Prairie. She especially loved to spend time with her grandchildren. Bertha is preceded in death by her husband, Leonard Sanvig; her parents; son, Jerold Johnson; daughter, Debra Johnson; sisters, Myrtle Kimball, Marjorie Green, Mary Hammond, Faye Overhuls, Veva Richards, Ilo Lott and Altha Wilson; brother Allen Wilson. Bertha is survived by her children, Robert (Aan Maria) Johnson, Lilly (Larry) Turner, Linda Shepardson, Dale (Lori) Johnson and Lois Johnson; 17 grandchildren; several great grandchildren, nieces, nephews and friends. Services will be Saturday, February 2 at 11 AM in Sorensen-Root-Thompson Funeral Home, Aitkin. Visitation will be 1 hour prior to the service at the funeral home. Interment will be in Evergreen Cemetery, Aitkin. To sign the guestbook online, go to: www.srtfuneral.com. Arrangements are with Sorensen-Root-Thompson Funeral Home and Cremation Services, Aitkin.